I hate flying. I normally do not look forward to any plane flight but the prospect of traveling with two babies certainly had me apprehensive to say the least. We planned on leaving extra early and ended up having no traffic, a quick waltz into the terminal, a very light security line, and a short walk to the gate. This resulted in us having a lot of time to kill which was good because it allowed us to feed the guys at the gate. I mashed up the remaining items in our fridge and they seemed to enjoy their mix of avocado and banana. Shortly after take off Martin woke up and entertained himself by just looking at the iPad. This picture is deceiving as he spent most of the time looking at the back side while pointing the screen away from him. Elliott, on the other hand, slept much longer during the flight. He is much like his mother in that sleepin on a plan is an option for him. I guess if I was lying in a giant hammock I may also share his ability for in flight slumber. After arriving at their grandma and grandad's house Martin was whisked away by his Aunt Lisa who showed him this ancient relic of a long-forgotten time. They also enjoyed having an audience with standing room only as they had their lunch. Afterwards Jen and I rand out to the store to spend hundreds of dollars on all of their supplies for the week. 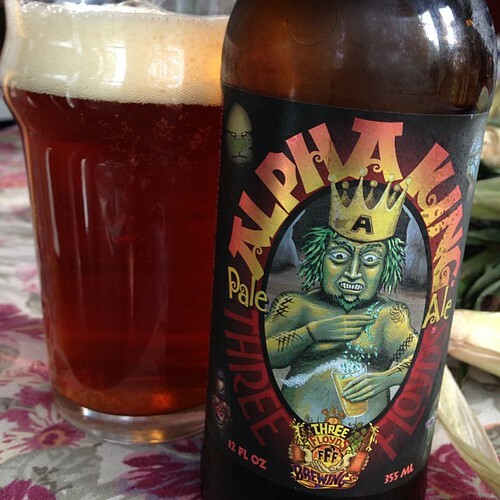 Lauren had picked up two beers from 3 Floyds and I was fortunate enough to be able to enjoy them with dinner. I had the Alpha Dog and the Pride & Joy. Both were very good and filled me with rage that there is no chance of ever getting anything from this brewery back home. 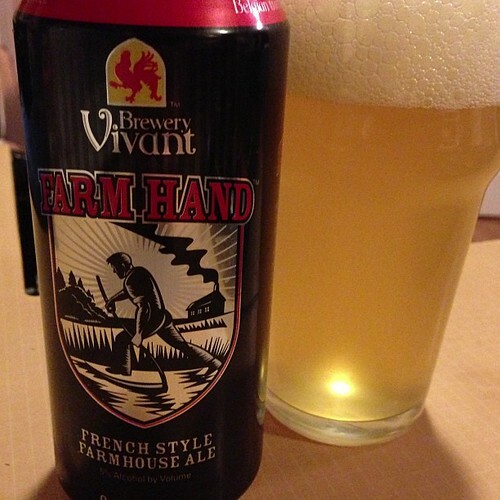 To top off the evening I had this Farm Hand French Style Farmhouse Ale from Brewery Vivant. 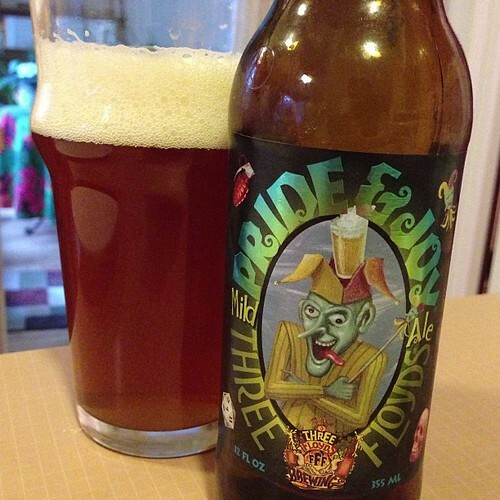 This is the first beer I've had from this brewery which specializes in Belgian style ales in nearby Michigan. I look forward to trying a vast array of local beers while the Wombats are being overwhelmed by their adoring family and fans. They are more than lovable sons, they are great distractions.